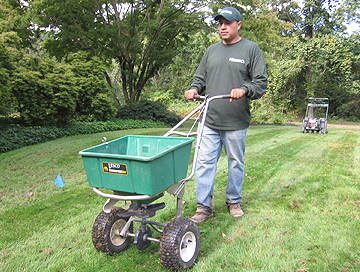 Core aeration is the process of establishing air chambers in your lawn. These air chambers allow air to pass without restraint into the soil and circulate throughout the grass roots. 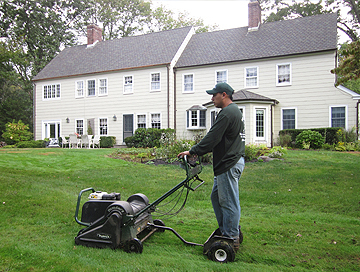 It is an essential procedure needed to maintain landscapes and healthy lawns. Does My Lawn Need Aerating? The short answer: Yes. Every lawn will need this done at some point; it’s part of the maintenance over time that will keep your lawn looking healthy and beautiful. After a while, existing soil that your lawn grows on will become compacted, which causes the pore spaces in the soil to become smaller, restricting airflow and water infiltration. Soil compaction is due to traffic such as sports, walking, children playing and parking. Because let’s face it, nobody wants to erect little “don’t walk on the grass” signs in their backyard, that kind of defeats the purpose of a beautiful long island yard. We’re meant to enjoy our lawns, but to do so we must take care of them with proper lawn maintenance. 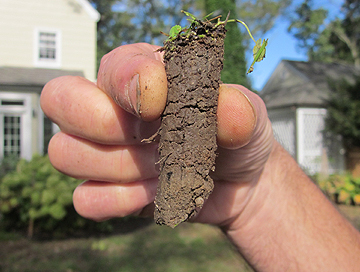 The easiest way to determine the best time to aerate your lawn is by testing a section of it. You can do this is by removing a small section of the lawn and examining it: If the roots are shallow (between 1 and 2 inches). Then your soil might be compacted and in need of an aeration. 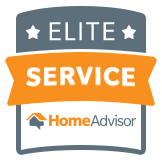 Alternative EarthCare provides free estimates for core aeration and all of our services. What do all plants need above all else in order to survive? Water and Oxygen. But in order for grass roots to take in oxygen, they need an unrestricted circulation, quite like our own bodies. Think of Core Aeration as balloon angioplasty for your lawn. A balloon angioplasty is a surgical procedure that increases blood flow and oxygen by inflating a balloon to dilate an artery, pushing plaque back and opening up the blood vessel so it can function at a healthier level. In addition to providing increased oxygen, another key factor that may give you cause to aerate your lawn is a buildup of thatch. The process of breaking down thatch begins by taking the cores and laying them out on the surface of the lawn. By doing this, it introduces microorganisms into the thatch layer, breaking it down and returning nutrients to the soil. This is similar to lawn mowers that spit out grass cuttings onto the grass, which provide healthy nutrients for the grass to absorb. However, we find that our customers don’t want a lot of hairy grass cuttings caught in their sandals while walking across their lawn (who does?) so people often do not leave too many cuttings on their lawn, preferring to use bag mowers. What Methods of Core Aeration Do We Use? At Alternative EarthCare, we use a mechanical aerator. The mechanical aerator has 4-inch spikes that removes plugs of soil approximately ½ inch in diameter and up to 4-5 inches in depth every couple of inches. This action is performed in a crisscross fashion to ensure random plugs. The plugs are then left on the lawn to break down naturally. This process is a proven method to ensure the greatest level of success possible, providing your lawn with a renewed vitality. When aerating it is common to seed the lawn, as the holes made by aerating are perfect beds for new grass seeds or even the seeds of weeds carried by the wind. Seeding your lawn with grass seeds while aerating allows seeds to fall into the chambers and ensure germination. We use the highest quality seeds, which can are customized to match your landscapes’ shade, sun and soil. We can also use specific seed types to match the current turf.